Tranquility Base: Why didn't Apollo 10 land on the moon? 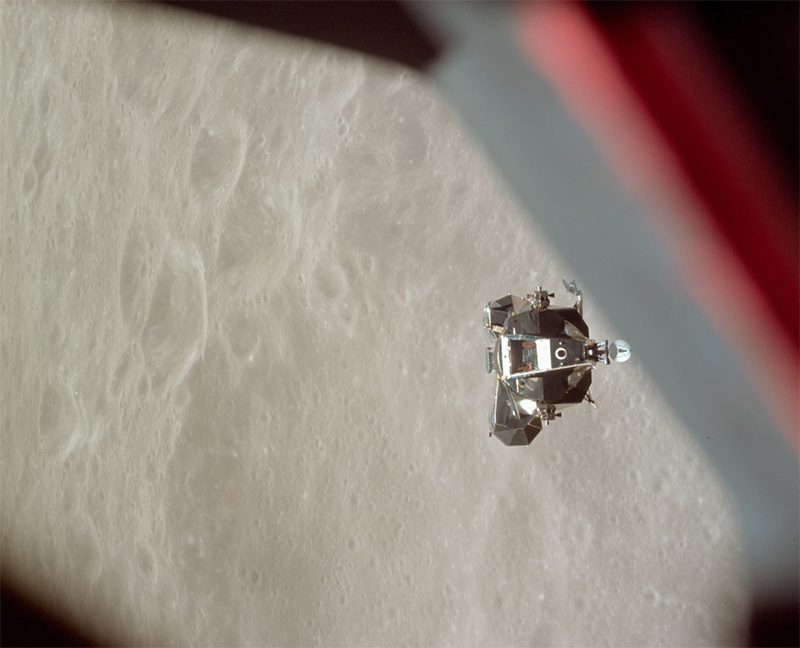 Apollo 10 was humanity's second trip to the moon, and the first to include a lunar module (nicknamed "Snoopy"). A main mission objective was to test out the lunar module in advance of Apollo 11's historic landing. This included undocking the lunar module from the command module, and then flying it down from lunar orbit to just over 8 nautical miles above the moon. That's so close to landing! At that altitude, the lunar module was closer to the moon than a commercial airliner on a transatlantic flight is to Earth. Eastern Siberia. The view from a Boeing 777 en route to Chicago from Beijing. Which has lead me to wonder: why didn't Apollo 10 Commander Tom Stafford and Lunar Module Pilot Gene Cernan just fly those 8 extra miles, touch down, get out and walk around on the moon, and then fly back? Either in a rogue Space Cowboys style maneuver, or as part of an official plan to hustle along the Apollo program, moving up the landing from July 1969 to May 1969? It was, after all, a space race! 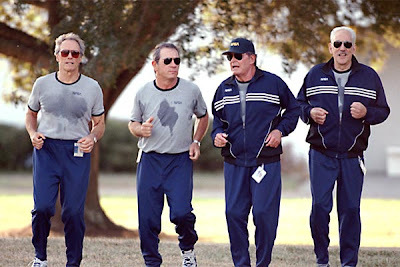 "A lot of people thought about the kind of people we were: 'Don't give those guys an opportunity to land, 'cause they might! So the ascent module, the part we lifted off the lunar surface with, was short-fueled. The fuel tanks weren't full. So had we literally tried to land on the moon, we couldn't have gotten off." Apparently this is a bit of an exaggeration. Snoopy might have actually had enough fuel to land and return to orbit. Since the mission was a dress rehearsal for Apollo 11, it was a close approximation of that mission, down to details such as the weight of the fuel in the lunar module. Snoopy weighed in at 30,375 pounds; the Apollo 11 lunar module was only about 2,500 pounds heavier. But, Snoopy didn't have enough fuel to get to the surface and back safely, meaning, with a reasonable margin for error. And beyond that, the lunar module had only flown in space one time before, and never in lunar orbit. The craft was still undergoing final testing in preparation for the Apollo 11 landing. Apollo 10 lunar module, not going rogue. Source: Discovery News. If Stafford and Cernan had been the first to land on the moon, the Apollo 10 lunar module itself probably wouldn't have survived long. Following each successful moon landing, the crew compartment of the lunar modules were jettisoned in lunar orbit, slowly deorbiting and crashing into the moon. Since Stafford and Cernan didn't land, Apollo 10's lunar module wasn't jettisoned until the mission was en route to Earth. So since the lunar module never made it to the moon, it's intact, and decades later, it's still orbiting the sun! There's even a group of astronomers trying to find it. Even though they never made it to the lunar surface, Tom Stafford (who never walked on the moon), Gene Cernan (who eventually did, during Apollo 17), and Snoopy set two big space records. The Apollo 10 mission has traveled faster than any other manned mission: 24,790 miles per hour (or .0037% the speed of light). Because the moon happened to be near the apogee of its orbit from Earth during the mission, it's also the furthest humans have ever traveled from home: 254,110 miles from Houston to the far side of the moon! Sources: Discovery News; Collect Space; Andrew Chaikin's A Man on the Moon; NASA; Wikipedia. Ruining your career in Nasa would deter them from going rogue.